So, you’re in the market for a freelance blogger? Here is why you should hire a problogger. Writing and uploading regularly schedule blog posts comprises an integral part of your content marketing program. However, you may not have the time or possess the skills required to create content that attracts potential customers to your small business website. You have to search for a freelance writer to fill the content void. Small business owners must know the difference between a problogger and the average Joe who creates content that doesn’t sell. If you are in the market for a freelance writer, you need to know the characteristics of a problogger. Search engine optimization represents the cornerstone of online marketing. Any freelance writer that you consider for writing your small business blog posts must understand which keywords to use that get your post ranked high in Google’s search engine. The problogger must know about keyword density, as well as know how to forge relationships with other probloggers to develop links. Any problogger that you recruit must be on top of every Google Panda and Penguin SEO update. 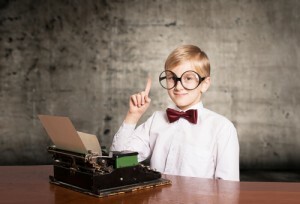 Probloggers differentiate their skill sets from the regular Joes by writing with unique voices. Some of the distinct voices that a problogger can use to create interest in your small business website include authoritative, conversational, humorous, and empathetic. Readers of your blog return to your small business website because they identify your blog posts with a unique voice. Every one of your small business website blog posts should require some research. Any problogger that you hire understands where to search for relevant information that bolsters the points made in your blog posts. A problogger makes it habit to search for facts, verify the facts, and document the facts. Above all, a problogger knows how to research facts and present the information in a manner that compels your readers to take action. You can’t afford to hire a freelance writer who invokes the timeless excuse of “My dog ate the homework.” Professional bloggers earn their stellar reputations by providing high quality content that adheres to structured publishing schedules. A problogger doesn’t submit work a day after deadlines or forget to submit a post that you need for a special promotion. Probloggers possess the discipline necessary to provide you with consistently produced content. Writing in a unique voice doesn’t mean your problogger has to obliterate every grammar rule. In fact, professional bloggers check for grammar and spelling errors, before they submit content for your review. Nothing screams amateur more than a blog post replete with spelling and grammar errors. The characteristics of a problogger include both soft and hard skills. One of the hard skills that have grown in importance over the past few years involves learning basic computer programming. The problogger that you hire to write your small business blog posts should know the basics of HTML and CSS to enhance the quality of your website.